IS THIS RETREAT A GOOD FIT FOR ME? Yoga inspires us to aspire to our greatness! Come live Pura Vida with us. Guiones beach is famous for its safe and exceptional surfing conditions. The super friendly native instructors are experts in helping beginners and advanced alike to experience the utmost joy of riding the waves. Board rental is also available. 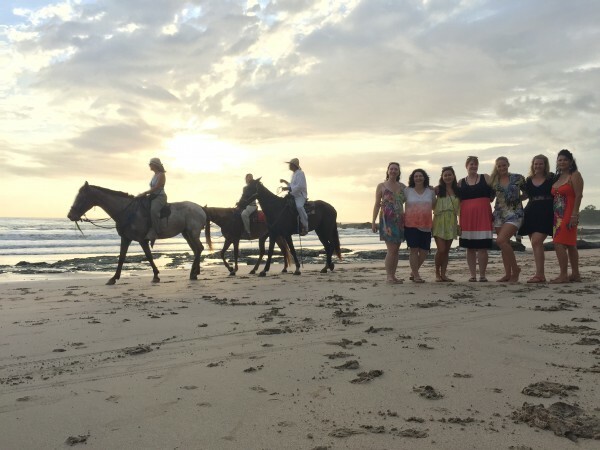 Get close to nature and enjoy a morning or romantic sunset ride along Guiones and Garza beach. 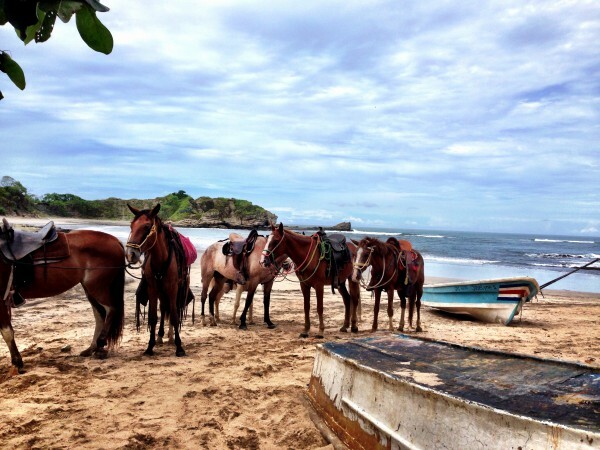 All horses of “Mis Amores” stable are well trained, healthy, young, and great for riders of any experience level. Experience the longest, most exhilarating and longest canopy tour in the world in the unequaled beauty of a Costa Rica forest wilderness. Traversing majestic mountain ridges and valleys, soaring high above multiple ravines, with breathtaking vistas of rivers, waterfalls and the Pacific Ocean. 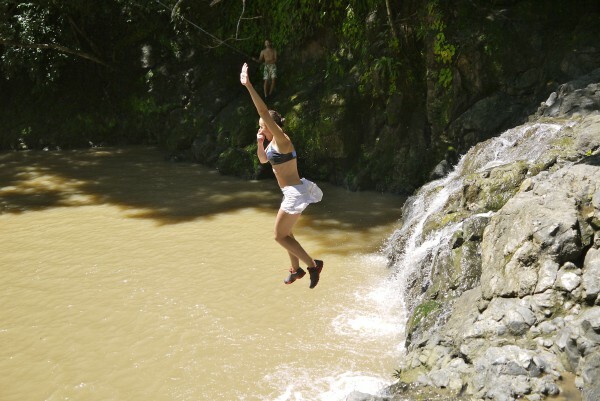 Suitable for nature lovers, adventurers, families, and all who wish to experience the ultimate canopy tour adventure. This tour begins with a 45-minute hike that involves crossing a creek a half dozen times, traversing a cattle farm and weaving through a primary canopy of tropical dry forest. Stop along the way to discover the sights, sound and smell of everything around you before discovering a series of brilliant swimming holes and small waterfalls, each cascading from one to another. The beach of Ostional is the scenery for a rarely-seen biological wonder. In rainy season, the week before new moon, hundreds – and sometimes hundreds of thousand sea turtles come to one specific mile of beach at Ostional to dig their eggs into the black, volcanic sand. The Ostional Wildlife Refuge in Costa Rica was created in 1984 to protect one of the world’s most important nesting sites of the olive ridley sea turtle. Only olive-ridleys and their close relatives, Kemp’s Sea Turtles, the latter an Atlantic species synchronize their nesting in mass emergences or “arribadas”, the Spanish word for arrivals. This emerging global sport is like walking on water. Unlike surfing, Stand Up Paddle Surf is very easy to learn, but provides a good core workout. Within one hour the instructor will make you feel comfortable on your board and you’ll enjoy being out on the ocean! Blue Spirit sits atop of a hillside overlooking a three-mile-long white sand beach along the Pacific Ocean. Guiones beach is home to a Turtle Refuge, which preserves the flora and fauna along the entire length; no building is permitted. The north and mid sections of Guiones beach offer great surfing to beginners and advanced alike. Blue Spirit is located at the quiet end of the beach, where swimming is easy, thanks to the gentle current. The 700 foot walk (220 meters) from Blue Spirit to the beach transverses lush grounds full of mango trees and coconut palms.